It is interesting how something so small can actually brighten your day. I rarely ever stop for coffee and today I decided to grab a nice big one to warm me up (as it is only like 2′ here… freaking freezing!). 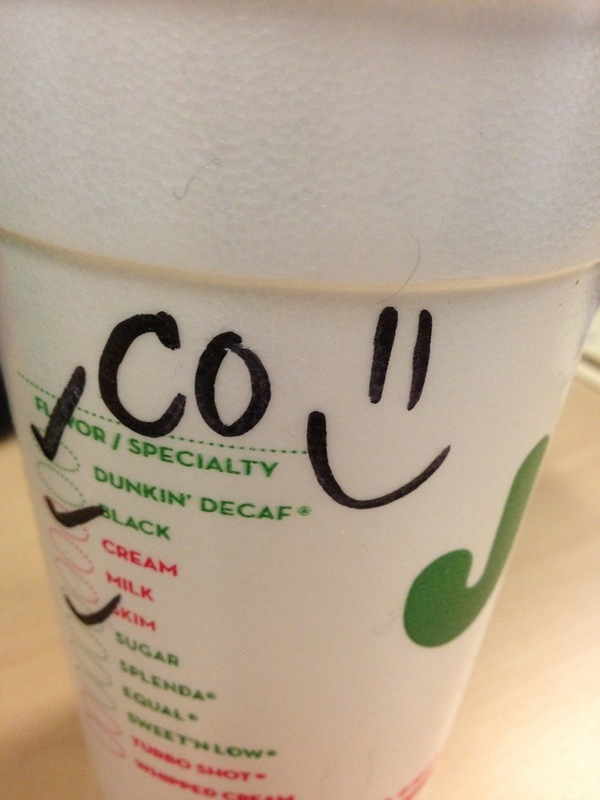 I got halfway to work when I noticed the coffee had a smiley face on it. Kind of like “Woohoo! Coconut decaf!! Yay!”. The kid at the drive thru told me to have a good day and seeing that tiny little gesture of happiness… I think I will have a good day, thank you very much. It just made me chuckle that something so “meaningless” can put you in a good mood and ultimately make you smile! Next > Barely Domesticated Whaaat? ?